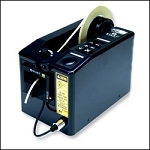 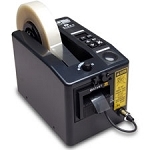 The basic M1000 handles up to 2" wide pressure sensitive tape and dispenses and cuts. 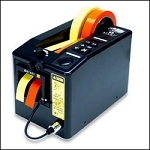 Several models are available for film, heat sensitive tapes, thin tape, thick tape, tape to be creased. 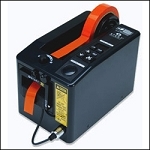 Call or email your details and send us a sample roll of material for testing. 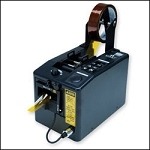 We will help you find a solutions.